BroadGrace Church | BroadGrace is a welcoming, family-friendly church for the people who live in the towns and villages of Broadlands and North Norfolk. We meet each Sunday at 4pm in Coltishall. Whether you’re new to church or looking for a new church, we’d love you to meet you this Sunday. 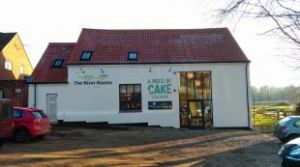 BroadGrace is a welcoming, family-friendly church for the people who live in the towns and villages of Broadlands and North Norfolk. We meet each Sunday at 4pm in Coltishall. Whether you’re new to church or looking for a new church, we’d love you to meet you this Sunday. 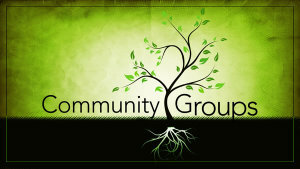 Community Groups meet this week! Click below to find out more about our toddler group! 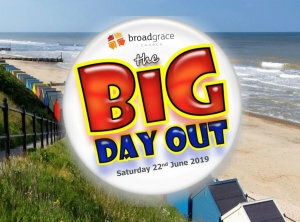 Advance Notice - keep your diary free for our Broadgrace Big Day Out on Saturday 22nd June 2019. BroadGrace is a welcoming, family-friendly church for the people who live in the towns and villages of Broadlands and North Norfolk.